GG loves Thanksgiving but this one is likely to be remembered simply because I am moving. 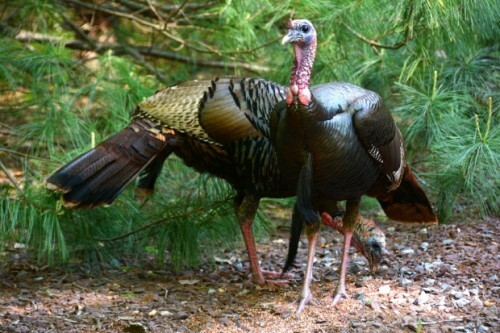 A lot of people have not ever seen wild turkeys and it was a joy to spend some time with my nephews a few years ago while seeing their excitement when wildlife entered the property. We would rush to the window and spend time watching the turkeys forage through their “yard” and I just loved that this was a source of enjoyment for all of us. 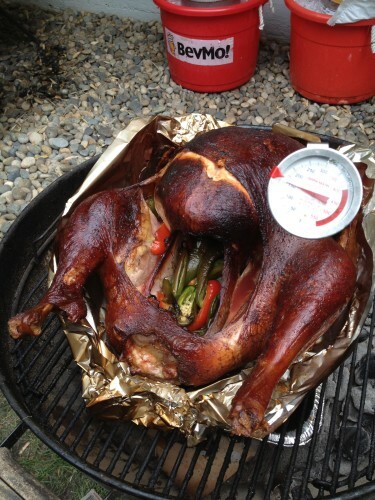 My brother and his father-in-law went out hunting and then cooked up the turkey on the grill. The unexpected move has been a challenge since I am mostly doing everything myself. My doctor’s were super supportive and I get into some of the recovery from the mold once I get out of here. One of them insisted I write a book on the journey and said she would be the medical advisor on the project. Anyway, I am not the youngster I once was but am happy that I am able. However, it makes me wonder about it since I am hauling things up my vast number of stairs to the top. Sadly, there are not a lot of youngsters around town or I’d have a pizza party and get them to help me move boxes, wood, etc. Neighbor Jill told me that she was surprised I am still functioning. My retort? The one thing my family is known for is strength of will. In the meantime, to overcome the sadness and overwhelm, I am relying on my neighbors for coffee chats, hugs and company to keep me sane during this difficult transition. In the meantime, I slug along. The perks have been that a few neighbors helped move the furniture but there is a lot left. Neighbor Linda showed up to help and I put her to work shredding papers as I continue to sort through the vast storage files from the olden days before digital and cloud storage were options. It did wonders for me just having someone to help and chat with. Lots got done as a result and I hope she comes back again. When it comes to papers, the walk through memory is not always pleasant but I hope to release those memories and re-emerge like the Phoenix from the ashes. And yes, besides recycling a lot, some of the old stuff has been going up in flames. I already mentioned the Moose Lodge 2085 Fawnskin community turkey dinner and other holiday happenings. Hope to see you there but it really depends on how much progress I make. By the way, if you are so inclined to drop by to help, I’d be thankful! …just keep packing, packing, packing. This entry was posted on Tuesday, November 26th, 2013 and is filed under High Altitude Living, Mountain Lake Resort, Small Town Living. Nice to see you the other day; I am excited about your future recovery once you get out of mold haven – YUCH! Thanks Madonna, I’ve been researching recovery…looks like 90 days minimum. It was great to see both of you too. I ran into an old friend that day who was visiting the mountain so it was a lovely visit. Let me know when you are in town, I have to drop in to collect my mail at least once a week so I will be around now and again.